Under the direct supervision of our Executive Director and with support of our dynamic leadership team, the Director of Operations will guide high-quality programming and branch operations in the areas of Membership, Aquatics, Healthy Living, Teens, and Sports. Responsibilities will also include staff development, philanthropy, partnership development, member experience, and volunteer management. This position provides an excellent opportunity for a thoughtful leader who thrives in a multicultural, inclusive, and fast-paced work environment. Recruits, hires, trains, develops and directs diverse staff and volunteers. Holds others accountable for equitable staff hiring, promotion, and development. Reviews and evaluates staff performance. Develops strategies to motivate staff and achieve goals. Guides others on how to strengthen knowledge, skills, and competencies that improve organizational performance. Manages the budgeting process so that resources are devoted to top priorities and strategic objectives. Ensures operating budgets meet or exceed targets. Recommends adjustments to the budget to assure a balanced operation and submits reports on current operations. Develops and directs high quality member engagement strategies and programs which support branch and association goals and strategies. Establishes plans for the expansion of programs and services, in harmony with overall YMCA objectives and the leadership team. Fosters a climate of innovation to develop member focused programs which support Y mission, goals and strategies. Builds bridges within the community so that all segments of society have access to the Y. Effectively communicates community benefit and the Y’s impact for all stakeholders (e.g., staff, volunteers, members, and community leaders) develops positive working and collaborative relationships with other organizations, businesses, and governmental entities. Ensures risk management policies, procedures and practices are in place and executed. Bachelor's degree in human services, education, recreation, business, or a related field, or equivalent preferred. YMCA Multi-Team Leader certification preferred. Five or more years of management experience, preferably in a YMCA or other nonprofit agency. Proven ability to direct assigned operations including volunteer development, supervision of staff, development and monitoring of budgets, membership acquisition and engagement, Health & Wellness, fundraising, and program innovation and program development. Ability to establish and maintain collaborations with community organizations. CPR and First Aid certifications required within 30 days of hire. While performing the duties of this job, the employee is regularly required to use a computer for extended periods of time and be able to communicate using a computer and phone/smart device. The employee frequently is required to sit and reach, and must be able to move around the work environment. The YMCA mission is: To put Christian principles into practice through programs that build healthy spirit, mind and body for all. 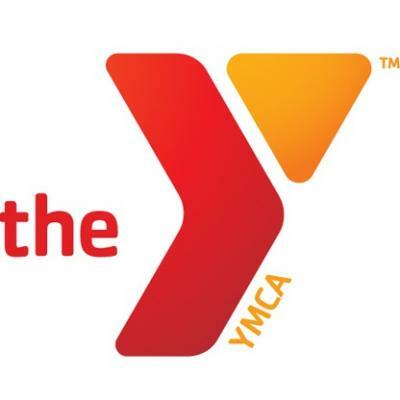 YMCA of the USA (Y-USA) is the national resource office for the Y, one of the nation's leading nonprofits strengthening communities through youth development, healthy living and social responsibility. Across the U.S., 2,700 Ys engage 22 million men, women and children – of all ages, incomes and backgrounds – to nurture the potential of children and teens, improve the nation's health and well-being and provide opportunities to give back and support neighbors. Anchored in more than 10,000 communities, the Y has the longstanding relationships and physical presence needed not just to promise, but also to deliver, lasting personal and social change.